Last month, I checked off a faraway biggie on my Travel Bucket List, and it was a lot easier and faster than I expected. I flew to New Zealand, nonstop from Houston, aboard Air New Zealand. This nonstop daily flight has been leaving Bush-Intercontinental for a few years now. Why didn’t I know that? I would have gone sooner. I thought I’d have to kangaroo hop my way to New Zealand, two or three plane changes. In fact, a few friends were visiting New Zealand about the same time I was, and they forwarded me their itinerary: Houston-Los Angeles-Auckland. I went on a few travel sites and, same thing, the first flights that popped up involved a layover in Los Angeles. I double-checked. Absolutely. Air New Zealand has a daily nonstop, Houston-Auckland. The difference: Air New Zealand’s non-stop flight is 14 hours and 50 minutes going, and 14 hours coming home. Competing airlines' flights involving an L.A. layover are 20 hours going and 19 hours returning. My flight left Houston at 10:15 pm, and landed in Auckland around 6 am. I told my friends, call me at the hotel when you finally land. We’ll meet for lunch. 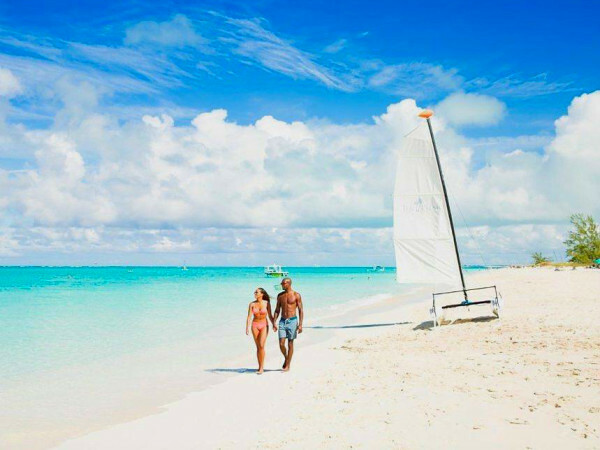 Both routes are about the same price, but with Air New Zealand you save five hours each way. When you’re flying halfway around the world, five extra hours feels like years. Time is the only thing Air Zealand shorts you on, though. 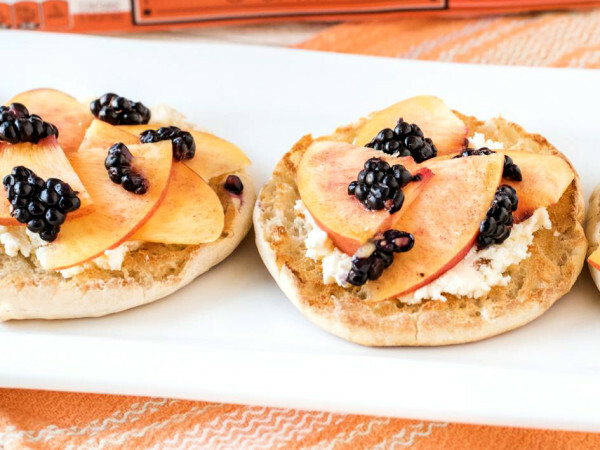 It’s a pretty swanky airline, with all the little niceties you cherish on a long-distance flight. It was voted “Top Airline in the World” in the Conde Nast Readers Choice Awards. I flew in its Premium Economy cabin, which is similar to Economy in price, but closer to Business in comfort. Look, I’ve flown in super First Class on planes with showers and cocktail lounges, and I’ve flown cattle cars with my seat next to reeking toilets that rumbled like Mount St. Helens with every flush. 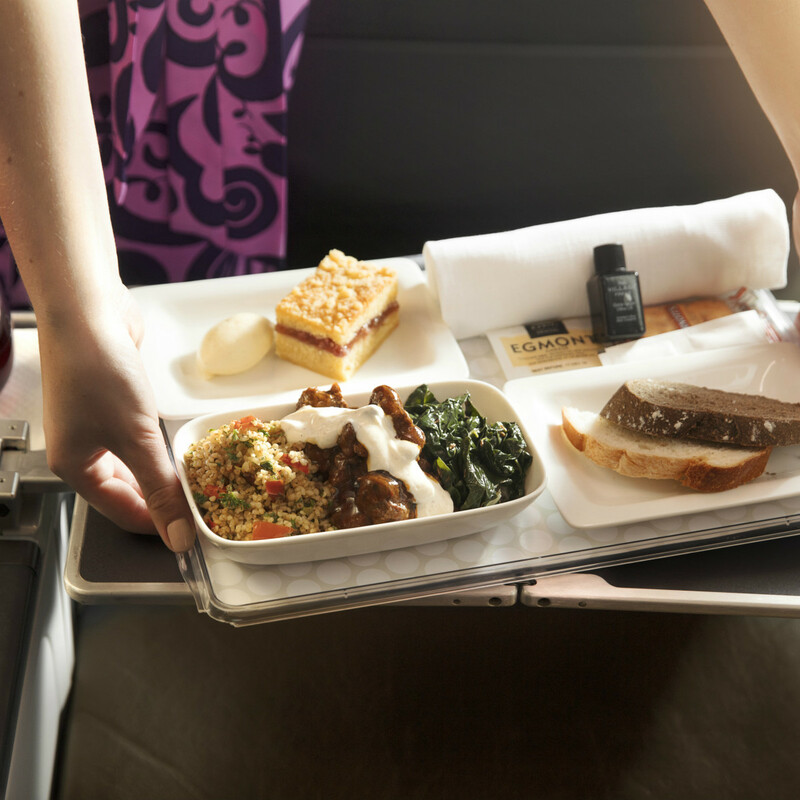 Air New Zealand’s Premium Economy is as good as it gets without emptying your credit card for Business. The seats were two-on-a-side with a wide demilitarized armrest between passengers. My leather seat had a wide bottom for my wide bottom. And it reclined enough for me to curl up comfortably and go night-night without waking up screaming for a chiropractor. Premium Economy customers can bring two small bags onboard, and check two pieces of luggage. 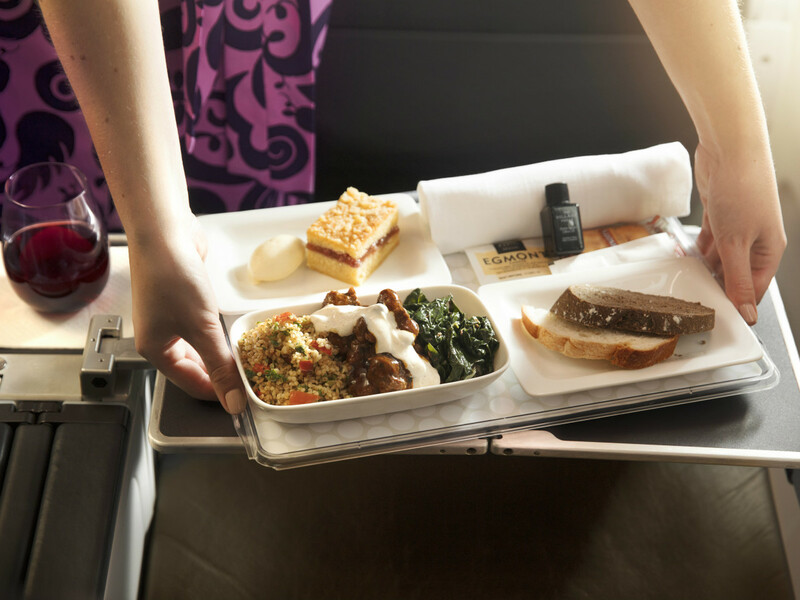 For dinner, one of the choices in Premium Economy was Harissa lamb shank with tomato and red pepper bulgur wheat pilaf, sautéed chard, and sumac yogurt dressing. Dessert was rhubarb frangipane tart with vanilla bean mascarpone cream. Surprisingly, Harissa lamb shank and rhubarb frangipane are not available in the vending machines on CultureMap's 4th floor. Premium Economy has lots of entertainment, 1,800 hours of films, TV, documentaries, music, and that map showing exactly where your plane is on the way to New Zealand. Whoa, I can watch Borg vs. McEnroe, the tennis movie that debuted at the Toronto Film Festival last year but hasn’t (and may never) been released in the U.S. yet. Tennis movies don’t do well with American audiences. Name five tennis movies. Borg vs. McEnroe stars Sverrir Gudnason as the Swedish legend and Shia LaBeouf as Johnny Mac. It’s really more the story of Borg and how he learned to control his temper (McEnroe not so much). The movie’s climax is the 1980 Wimbledon final with Borg triumphing for his fifth consecutive title. There is one shocking scene in the movie — dinner at the Borg home. That guy on the left side of the table — “Mr. Henderson” — it’s former Channel 13 news anchor Bob Boudreaux! 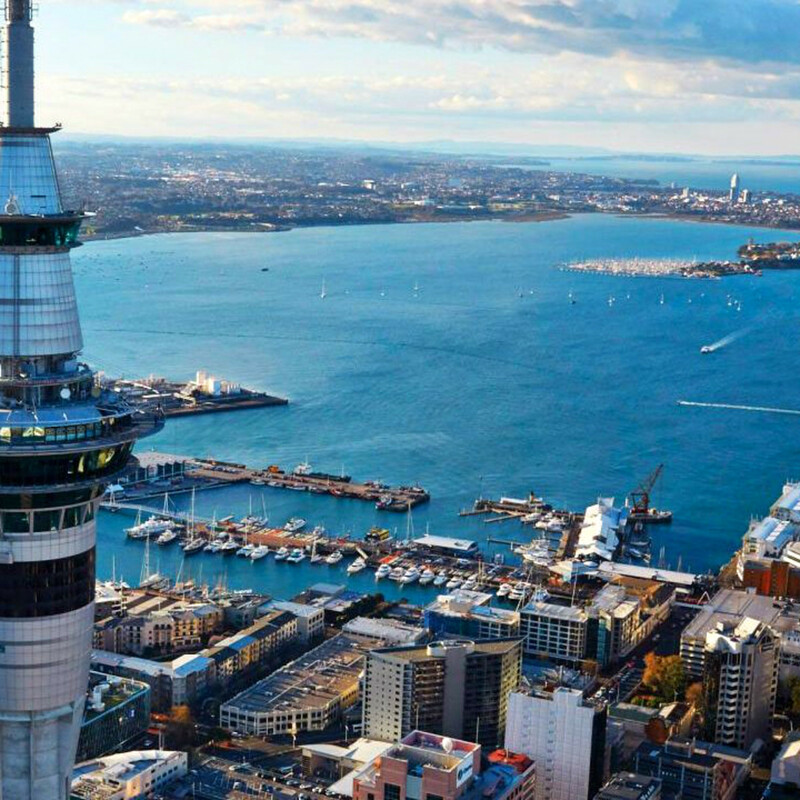 Americans, and Texans in particular, are visiting New Zealand in record numbers. Americans trail only Australians and Chinese as tourists in New Zealand. Travel by Texans is up 21 percent, thanks in part to Air New Zealand’s non-stop flight. Here’s something to remember, and do not forget. Let’s say you’re traveling to Europe. We’re used to leaving on, say, Tuesday evening and arriving in Europe usually Wednesday late morning or early afternoon. We land and start our day...the following day. When you travel to New Zealand, you also land in the morning, but two days later. 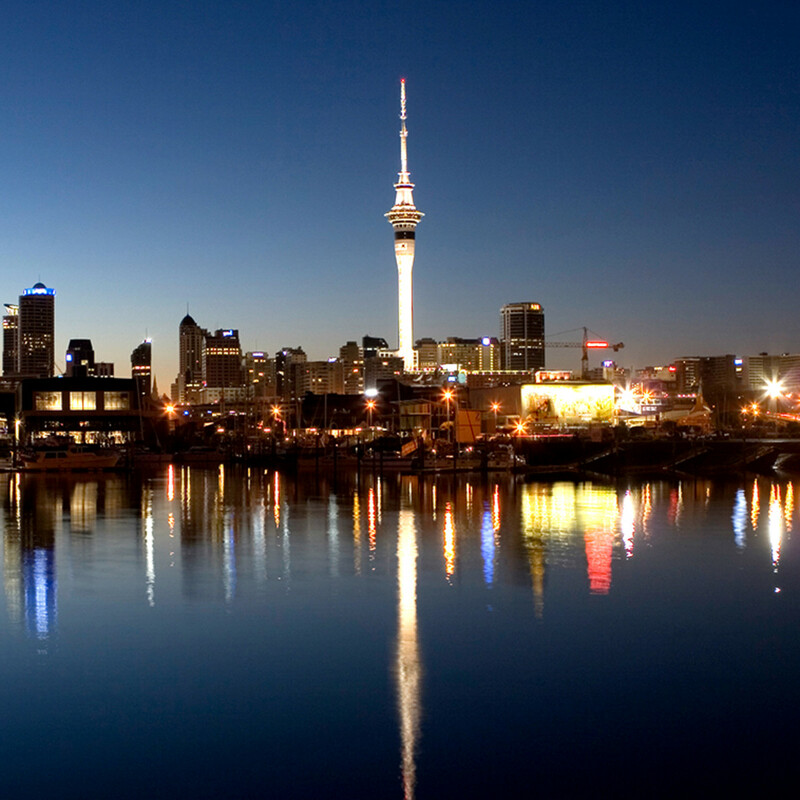 Leave 10 pm Tuesday in Houston, arrive 6 am Thursday in Auckland. Where’d Wednesday go? Weird. When you come home, you leave 4 pm Tuesday in Auckland and land in Houston at noon...the same day. It’s like traveling back in time. Cool. Arriving at Auckland airport so early is OK, because there are plenty of breakfast restaurants near baggage claim. Taxis and car rental shuttles are outside the front door. Here’s a tip. 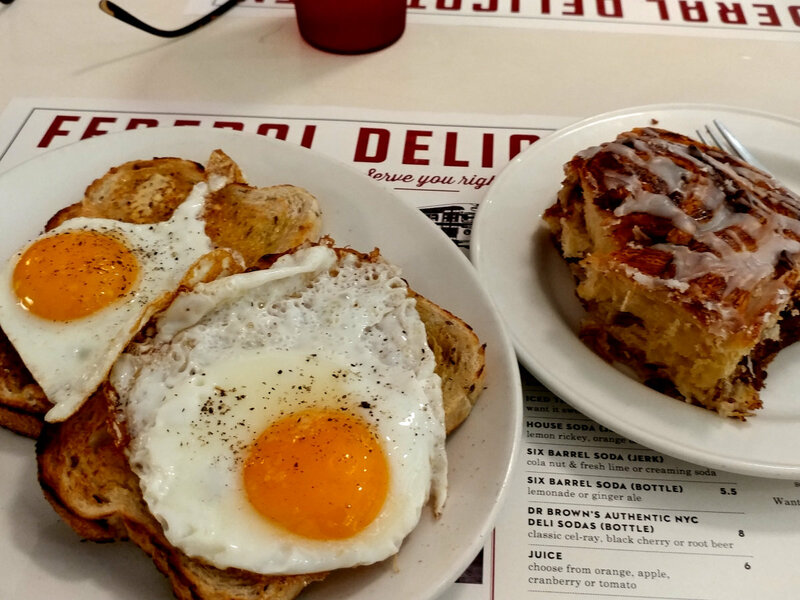 If you’re staying in downtown Auckland, and your room isn’t ready when you get to the hotel, try the Federal Delicatessen on Federal Street. While Auckland has 1.5 million people, its downtown is old world and small, so this restaurant is probably walking distance from your hotel. 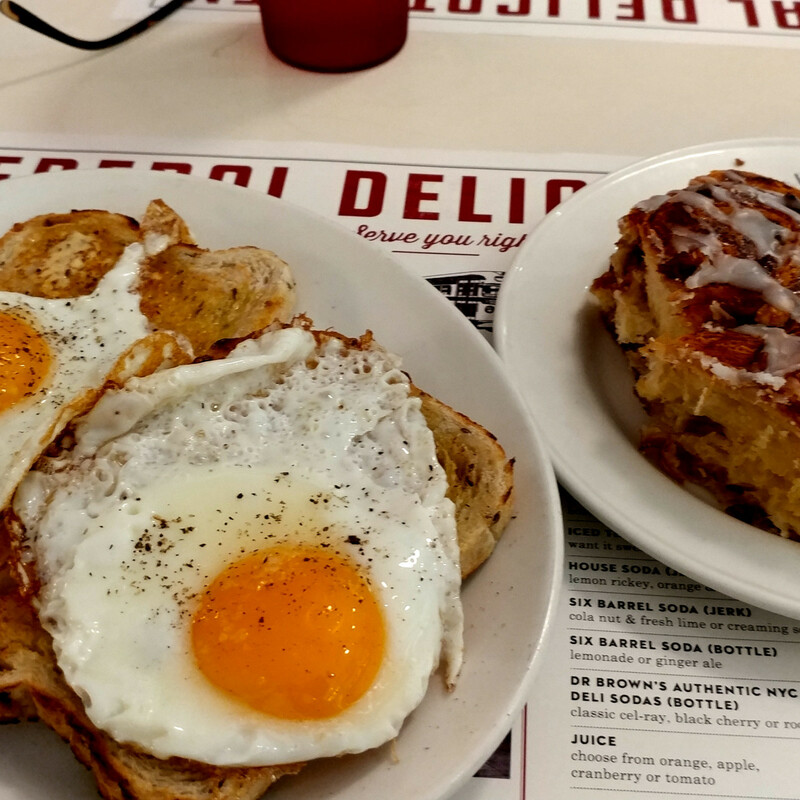 The Federal Delicatessen is a New York-style deli from decades gone by. The place is buzzing and the waitresses are sassy. They’ve heard everything you have to say a million times, so save it. (I like being criticized by people I don’t know.) They even sell Dr. Brown’s cel-ray and black cherry soda, the New York deli standard. 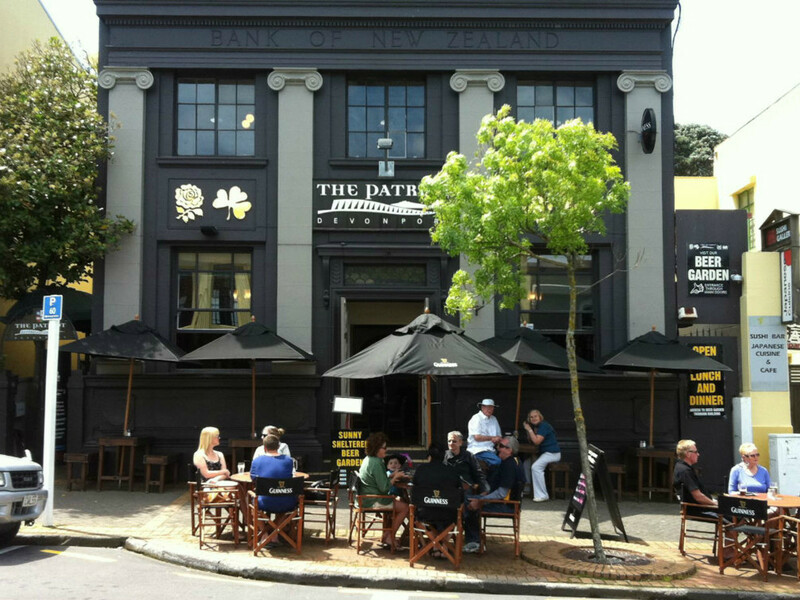 I was in Auckland three days, ate breakfast here all three days. I stayed at the Heritage Auckland hotel on Hobson Street. It’s an art-deco building that used to house a department store. Art-deco outside, ultra-modern inside. What I liked most, it’s got an artificial grass tennis court. I played a couple of sets while waiting for my room. Loved that. That afternoon I boarded the Explorer hop-on, hop-off tour bus to see what’s in Auckland, jotting down places I wanted to visit later. Whenever I visit a city for the first time, I always take the sightseeing bus. It’s corny, but a good way to get a feel for the city. Queen Street is the main shopping area in Auckland. It’s got all the upscale chain department stores and unique local shops. 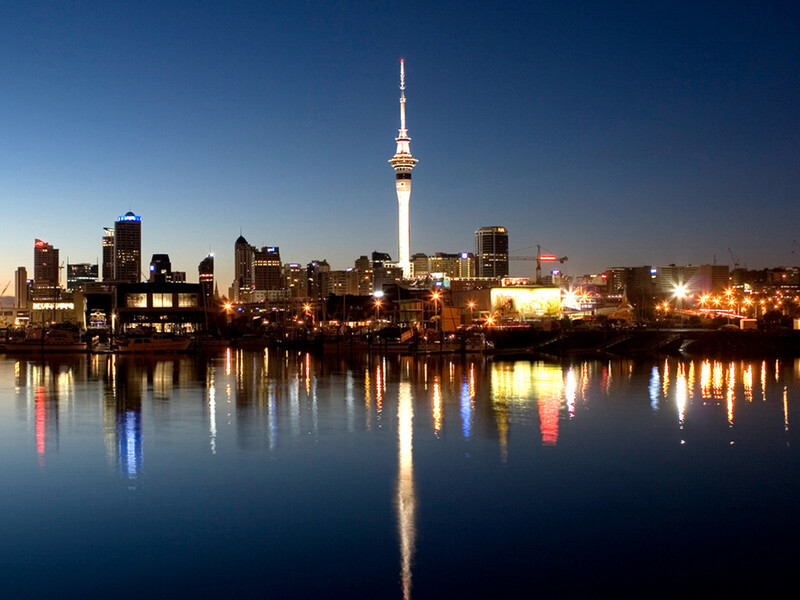 In the center of Auckland’s downtown is the Sky Tower, which stands 1,076 tall. It’s the tallest structure in the Southern Hemisphere. For a couple hundred bucks, they’ll strap you in a harness and you can jump off it. No thanks. I’ll take the elevator. The more I looked at the Sky Tower, the more I liked it. You can see it from practically anywhere in central Auckland. 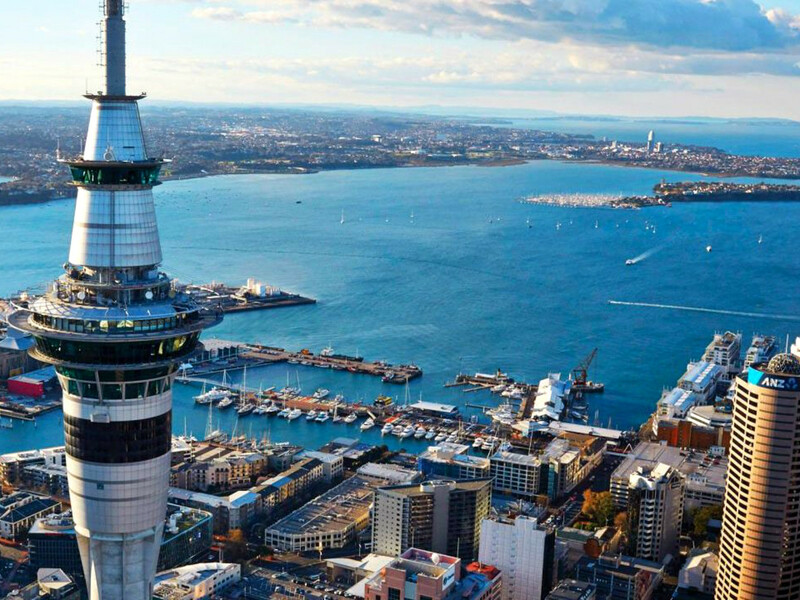 If you get separated from your group — “just go to the Sky Tower and we’ll meet there.” All cities could use a towering landmark like that. I took the ferry to Devonport, an arty community 12 minutes by sea from downtown Auckland. That’s where I had the best fish ‘n’ chips ever – at a pub called the Patriot. Fish ‘n’ chips is to New Zealanders what burgers are to us. It’s their go-to takeaway (fast) food. 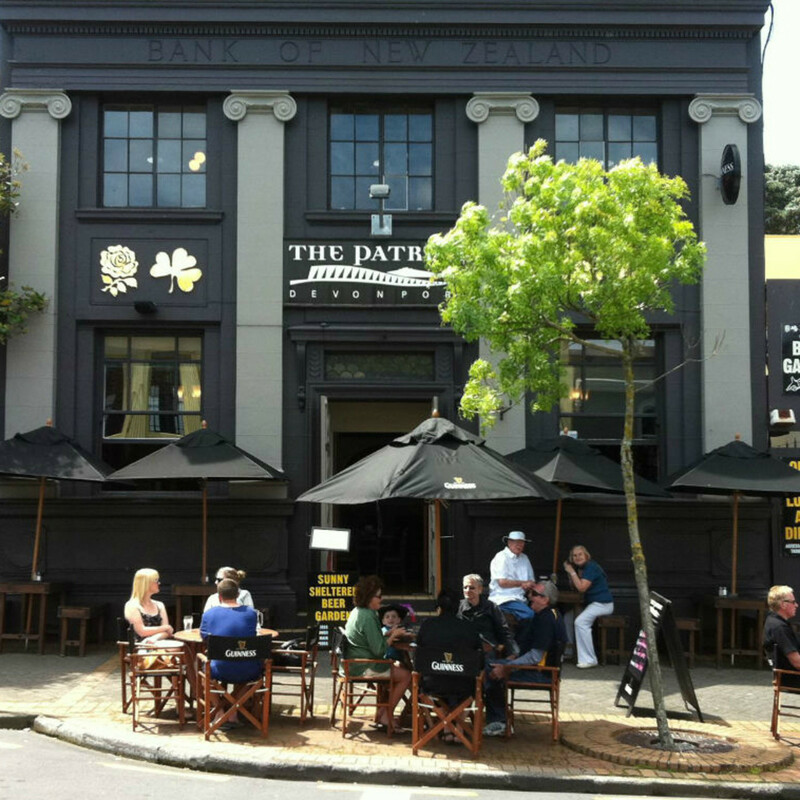 Devonport is a fun visit, packed with shops and cafes and bars, a wonderful afternoon for New Zealand visitors. For $1.8 million, I don’t want to hear “charming little.” Auckland has medium-level prices on everything else, though. A New Zealand dollar is about 75 cents U.S., so it feels like everything is 25-percent off. I rented a car and drove from Auckland north to Kauri Cliffs, a solid 4-hour drive. That was tricky. Not only do New Zealanders drive on the opposite (left) side of the street, the steering wheel is on the right side of the car. Making a right turn from the left lane will require total concentration. Good luck on the roundabouts. Have you visited New Zealand? Share your experience with Ken in the comments, and on Twitter.